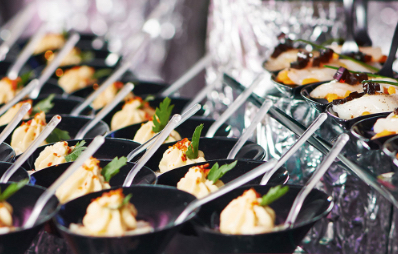 Wedding & event menus crafted by award-winning chefs. Led by our award-winning European-trained chefs, each of our menus has been crafted to effortlessly and decadently meet each of your wants, needs, and desires—and those of your guests. 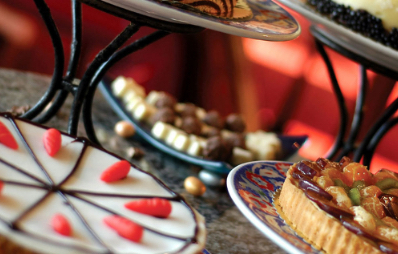 At the Watermill, you'll find everything from mouth-watering hot & cold hors d’oeuvres and delicately balanced entrées to a dessert menu capable of satisfying any sweet tooth. Experience first-hand how each element can seamlessly come together to create a dinning experience that your guests will be talking about for years to come. 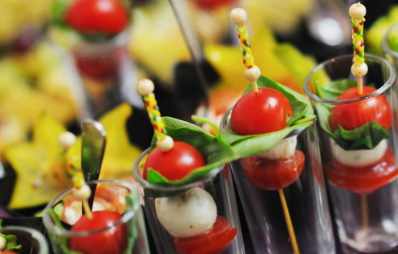 Gourmet Chefs & Award-Winning Cuisine are only part of what will shape the menu on your special day. 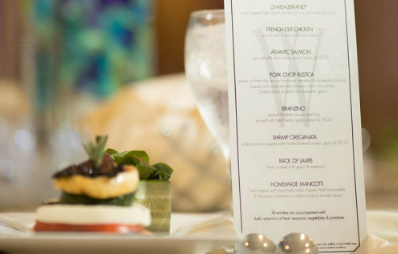 Our Deluxe Menu has everything you'll need to keep your guests fed and happy. With a wide array of food and beverage options—and plenty of room for personalization—you can easily craft this menu to appeal to all tastes. Enhancements are available to make your guests' experiences even more magical. Similar to the Deluxe Menu, the Hampton Menu offers additional small touches like cappuccinos and ice cream with dessert alongside decadent showstoppers like our expertly prepared Sushi & Sashimi platters and our famous Bacon Bar. If your corporate affair requires a sit-down culinary experience, this menu will help set the stage for intimate dining. Like all our menus, our Corporate Sit-Down selection can be customized to meet personal preference, dietary restrictions, and other unique needs. If you’re looking to offer a buffet experience at your next corporate or professional event, this menu has everything you could want. 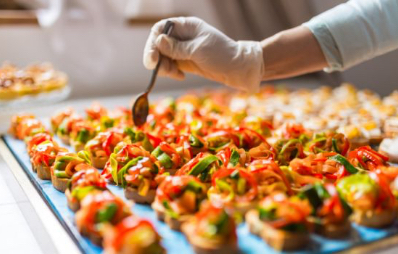 Highlights include a fresh pasta bar, butcher’s block selections, and a fresh salad bar—all perfectly prepped and prepared for your unique event. 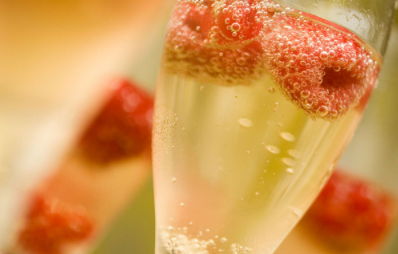 Our Sweet Sixteen Menu is perfect for making that special night even more memorable. Choose from 13 chafing dishes, your choice of a fajita & taco bar or an American slider station—and all the ice cream sundae toppings you could dream of. Looking for a little (or big) something extra? Our Enhancements Menu offers specialties that are perfect for every moment of your special event—from Cocktail Hours and welcomes to last dances and fond farewells. Some of our most popular enhancements include our ice sculptures, Martini Bar, Ice Cream Sundae Bar, Chocolate Fountain, and "Exit" stations like our infamous Hot Dog Cart and Donut Wall.